Sneakers are the ultimate go-anywhere wardrobe staple. It’s pretty much a given that they’ll take you everywhere from a boxing class to the farmers market to the airport the next time you board a plane. But fashion girls are proving that they’re also a cool piece to wear with dresses, and everything from cute summer sundresses to structured styles make the cut. What are the pieces you should skip if you’re pairing your dress with sneakers? We’ve noticed three things cool girls tend to steer clear of. First, avoid anything too tight. Instead of body-con styles, reach for looser fits. Second, skip super-short hemlines. 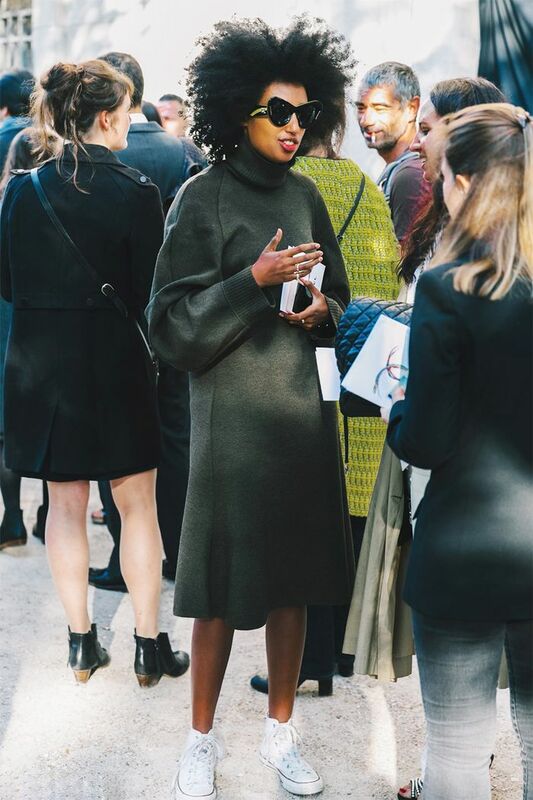 Anything that’s knee length or even styles that hit the ankle are what we’ve been seeing all over the street style scene. And finally, leave your oversize bags at home. Stick to smaller styles that feel very of-the-moment. Go on to see how fashion girls are wearing dresses with sneakers and then shop our favorite styles for your next look. The cool-girl outfit for your office. Available in sizes 32 FR to 42 FR. Nothing beats a classic wrap dress. Available in sizes 4 to 8. Pair this with clean white sneakers. Available in sizes 10 to 18. Did we just find this ultimate holiday dress? The easy way to dress down an elegant dress? Add sneakers. Try neutral sneakers on for size. Available in sizes 36 to 39.5. These are destined for the street style scene. We love this cool mahogany rose shade. You can't go wrong with this iconic style. These low-tops are super versatile. Available in sizes 34 IT to 42 IT. Next, read about the minimalist wardrobe staples you haven't tried yet.